The proposed Comcast–Time Warner Cable deal would create a television and Internet colossus like no other. Comcast is the country’s #1 cable and Internet company and Time Warner Cable is #2. Put them together and you get a single giant controlling a massive share of our nation’s TV and Internet-access markets. Putting this much power in the hands of one company is dangerous. This deal would lead to less consumer choice, less diversity and higher cable bills. Comcast wants to buy Time Warner Cable. If approved, this outrageous deal would create a television and Internet colossus like no other. Comcast is the country's #1 cable and Internet company and Time Warner Cable is #2. Put them together and you get a single giant controlling a massive share of our nation’s TV and Internet-access markets. No one woke up this morning wishing their cable company was bigger or had more control over what they watch and how they get online. But that's the reality we’ll face unless the Justice Department and the Federal Communications Commission do their jobs and block this merger. Stopping this kind of deal is exactly why we have antitrust laws. This merger would put more than a third of all cable-TV subscribers in Comcast’s hands and give it control over more than half of the “triple-play” services that combine TV, phone and Internet service. Don’t forget, Comcast already owns NBC, MSNBC, Universal Studios and tons of cable networks. That means that for most of America, Comcast could control even more of what you see and how you see it. Putting this much power in the hands of one company is dangerous. This deal would lead to less consumer choice, less diversity and much higher cable bills. This is a fight we can win. 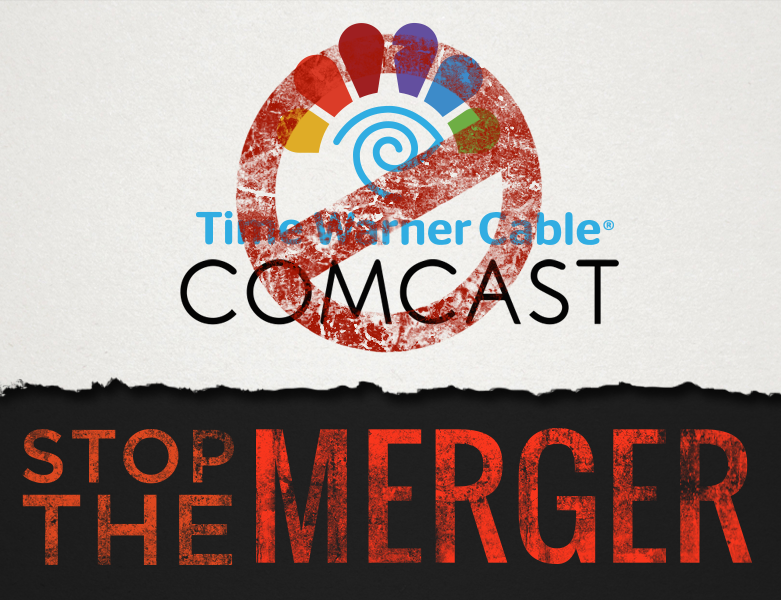 Tell the FCC and the DoJ to stop this merger.